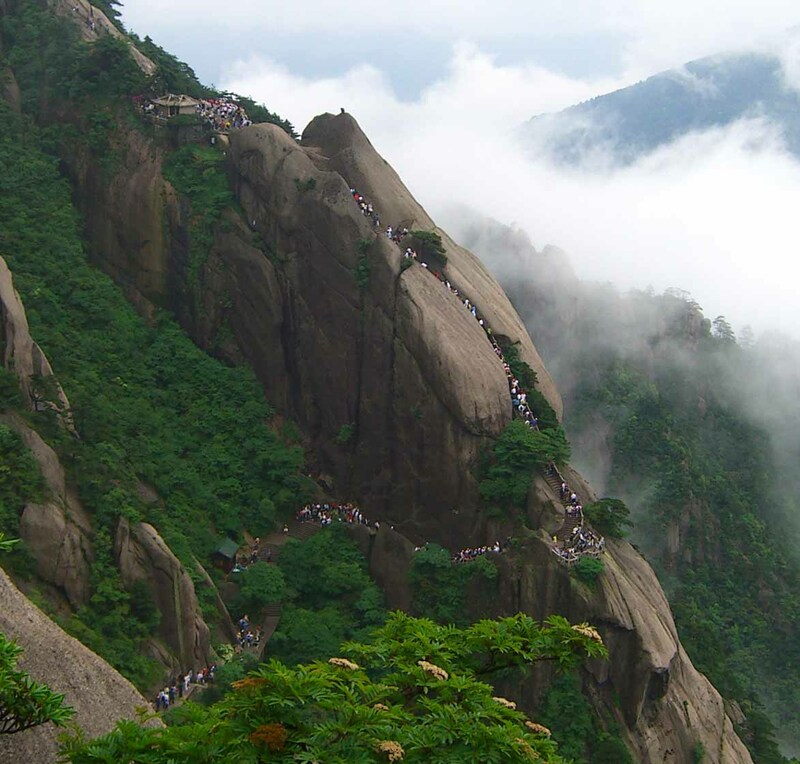 If you’ve ever wondered how big China’s population is, go to Anhui provinces’s Huangshan (Yellow Mountain). Witness an entire mountain range in which you will never be more than 20 feet away from another human being. Witness the seas of tourists overflowing the trails and precariously spilling out over rock ledges. Witness an attraction that can make it economically viable for entrepreneurs to hike up the mountain daily to peddle produce and walking sticks and carry struggling children and pompous businessmen in bamboo thrones. China’s population is so big that it has economic niches that do not even exist in other countries. Sure, your standard ‘grocer’, ‘teacher’, and ‘engineer’ exist in every country, but China’s population inflates impractically small niches in other countries into viable ones. Visually, think of each country like a balloon with sentences of different font sizes written on its surface. Each sentence represents a demand by that country. Small sentences are whispers, not loud enough to attract a supplier. Large sentences are shout, loud enough to convince entrepreneurs to invest in supplying this demand. China’s balloon is blown up larger than any other countries balloon on Earth. Sentences too small to be read in other countries are virtually shouts in China. Where else would you find occupations like “mid-mountain produce and souvenir shop owner” or “quasi-Egyptian mountain-top throne bearer”?